Grandpa’s Cabinets was proud to be part of history! The National Oceanic and Atmospheric Administration commissioned us to build a time capsule case. The time capsule will be opened 20 years from now. Order a display case to ensure your models are protected for history! Got Model Display Case Questions? Give me a call! If you have any questions, you can contact Ron Baluch via email or phone. Each and every inquiry is important and we will take care of all your questions so your precious memorabilia or fine scale models look their very best in a custom display case from Grandpa’s Cabinets. Comments Off on Got Model Display Case Questions? Give me a call! Great Customer Service to keep you coming back! Ron has been in the graphic arts field for over 30 years has been a wood worker for even longer. It is Ron’s passion that has driven him to starting “Grandpa’s Cabinets” which provide custom display cases for your finest models and memorabilia. Ron found placing his models on the shelf to collect dust and to be knocked over by admirers was more upseting than having to repaint model mistakes. Ron now offers modelers some protection and adds a true sense of pride in the skill and hard work of ship modeling. 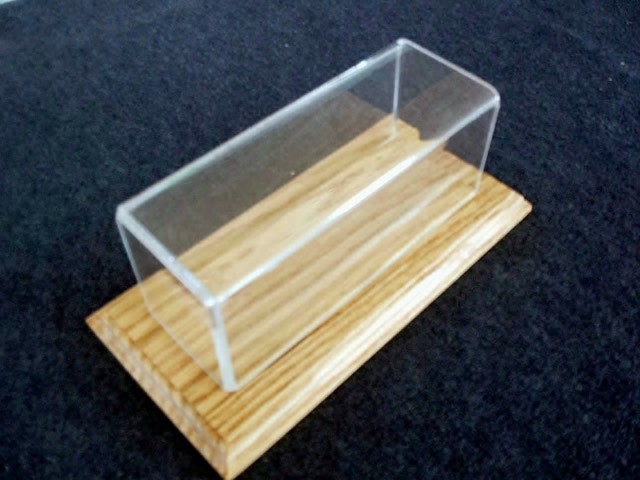 A model display case is an effective way to protect your model and reflect its high quality! Ron Baluch of Grandpa’s Cabinets has a passion for quality and his custom display cases represent this quality in every way! “…AWESOME! Your work is very clean & neat. Customer service is alive and well with Grandpa’s Cabinets! Ted Bunn was recently featured in Model Magazine and he still protects his model ships with model display cases from Grandpa’s Cabinets! Ron Baluch has a passion for building models. He is an experienced craftsman whose meticulous attention to detail showsin the display cases that he makes. 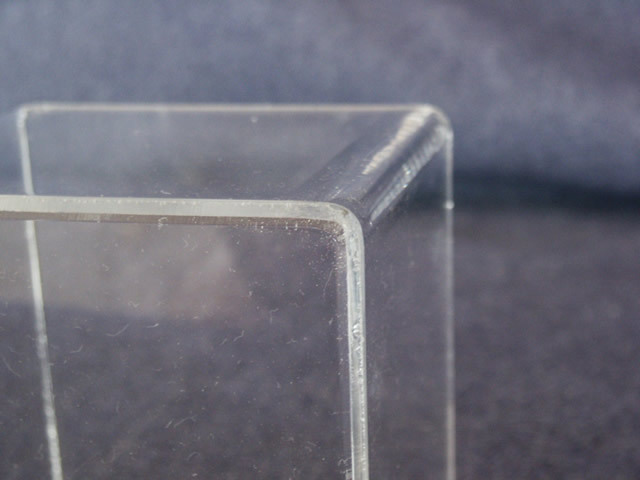 Ron’s quality model display cases protects models and memorabilia from dust. His model cabinets are the perfect solution to protect your model trains, planes, automobiles, ships and other collectables. Grandpa’s Cabinets takes pride in their high quality display cases knowing that they will protect and enhance your model art for years to come. As a modeler, I know the time and effort spent creating a model. 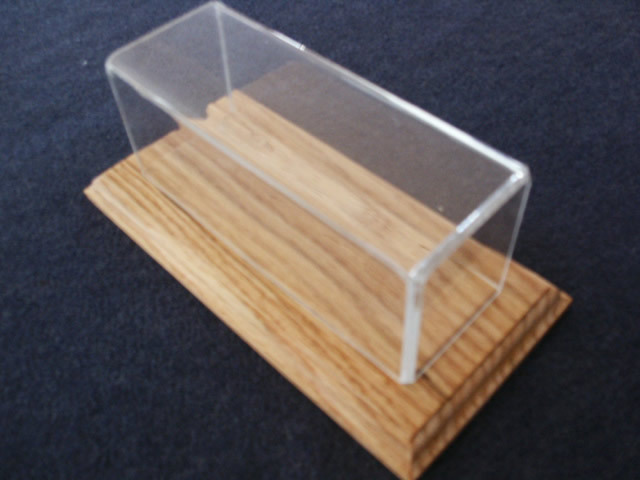 You deserve a display case that embraces the same quality standards reflected in your model. After choosing a pleasing wood grain pattern, the oak is cut to finished size for routing and finishing. 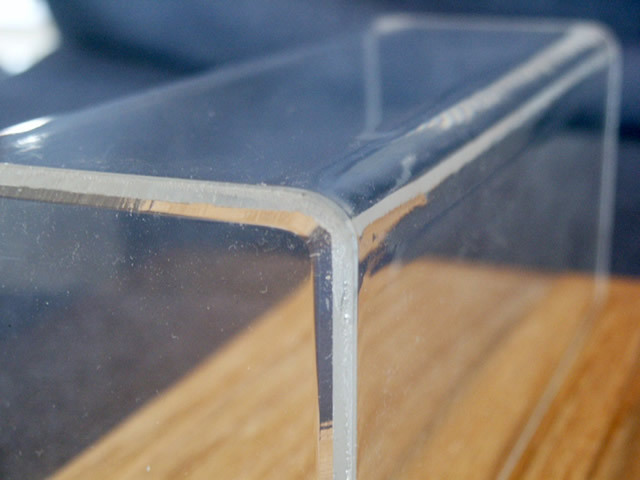 The oak base is finished, clear coated, and the acrylic top is flame polished and test fitted for the quality fit and finish each customer expects just prior to packing for shipment. 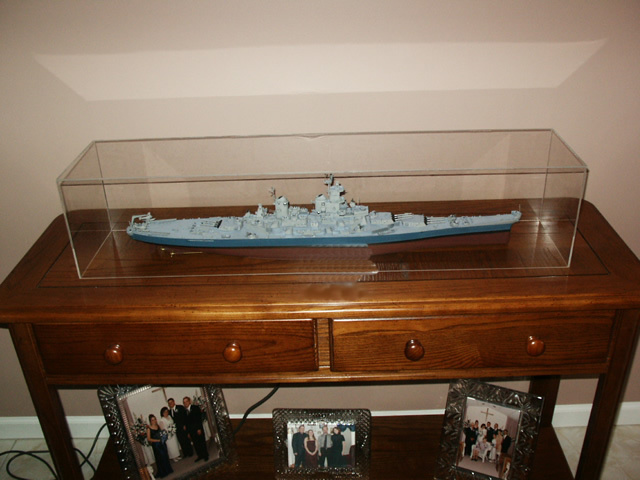 A model display case is an excellent choice to protect your model ship, model airplane, model car or any other type of model art. You’ve invested a lot of time into your artwork so take the final step and protect if from accidental bumps, scratches and crashes! I offer my customers a variety of already assembled cases to fit almost any model size, and have allowed extra room to allow ideal presentation of their builds. These cases are designed and built to the exact same standards as all of my custom work, but because I build them in volume, I can offer you, the customer, a discounted price. Each case is built with an all acrylic cover and the base is solid oak. I leave the base unfinished to allow you to choose either a natural finish with polyurethane topcoat, or a dark stain with polyurethane topcoat. I generally use Minwax oil based stain in their Special Walnut color. This gives a rich dark finish to the red oak I use. With the natural finish, the wood maintains its natural color and grain pattern with a deep rich color all its own. I have below a list of some of the most popular sizes. This list is only suggestion sizes, and I can build any size you require so if you don’t see what you want, just fill out the custom quote request and I will get you a price to exactly what you need. 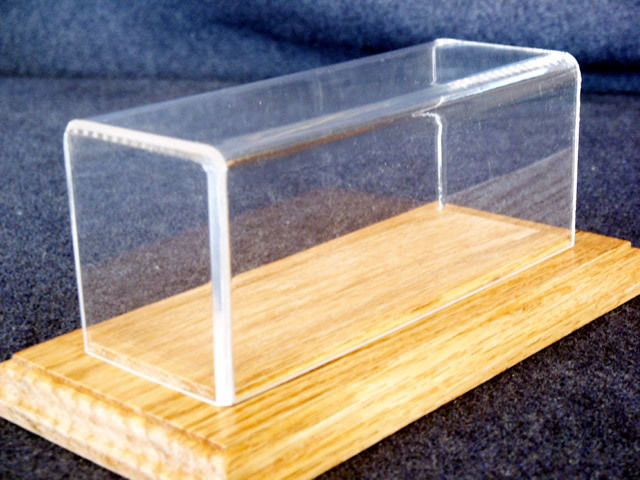 Check out our custom display cases! 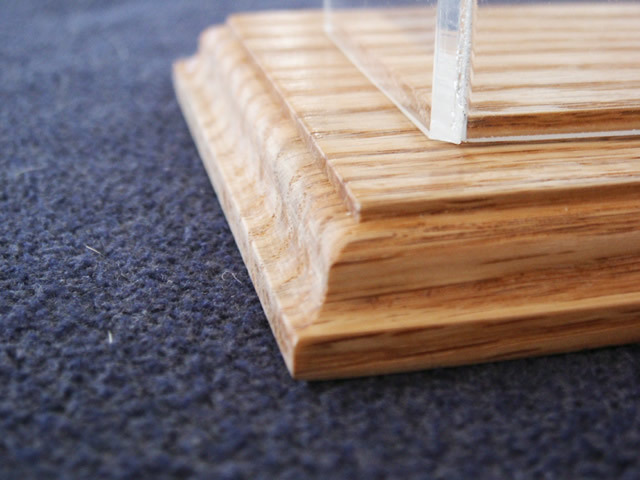 Each case is built with an all acrylic cover and the base is solid oak. I allow you to choose either a natural finish with polyurethane topcoat, or a dark stain with polyurethane topcoat. I generally use Minwax oil based stain in their Special Walnut color. This gives a rich dark finish to the red oak I use. With the natural finish, the wood maintains its natural color and grain pattern with a deep rich color all its own.